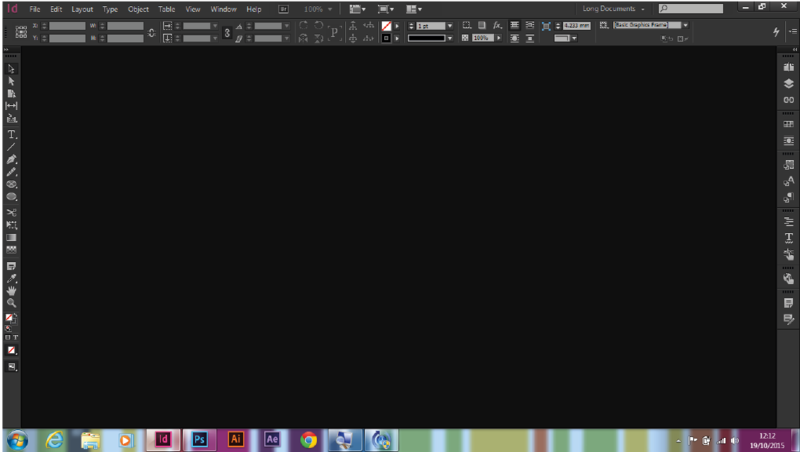 When creating longer documents in Adobe InDesign there are a few tips and tricks that I would recommend to help with your workflow, I would say these are for the more advanced Adobe InDesign user who is already familiar with the workings of Adobe InDesign. 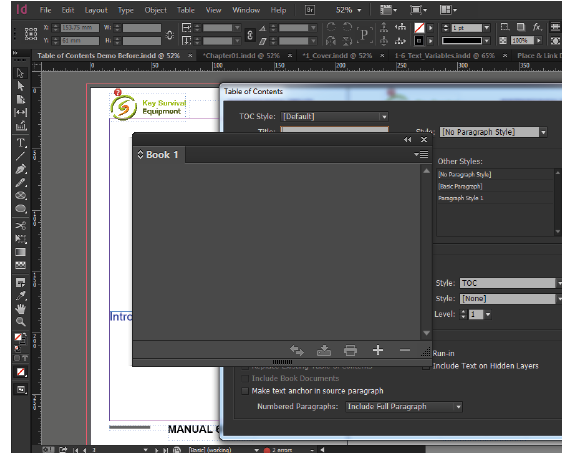 When creating a long document in Adobe InDesign its a good idea to set up and save a custom workspace. This is just a guide there may be other panels you use regularly that you may wish to include. 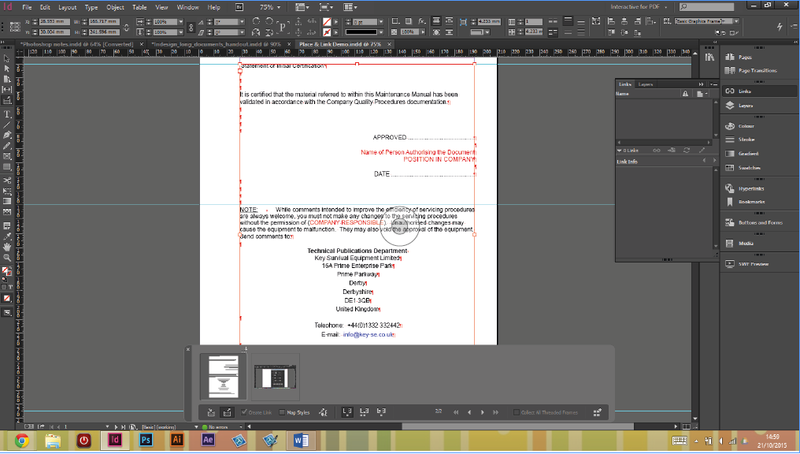 When you have some consistent text content that you would like to be included in various Adobe InDesign files you can link the content to a specific ‘Parent’ document this is similar to how we link images in Adobe InDesign. 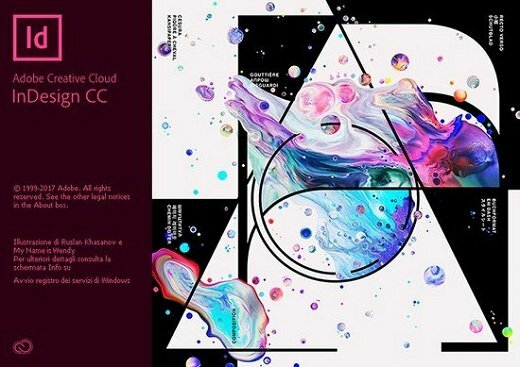 This essentially enables you to make changes to the master or ‘Parent’ content then this content will update in all the Adobe InDesign documents it has been linked too. You can link styles together in Adobe InDesignusing ‘Based on Styles’ this enables you to create slightly different versions of Paragraph styles for frirst paragraphs and similar. Nested styles are used when you have predictable patterns in your Adobe InDesign text, for example you may want to have the first word in a paragraph a different colour. 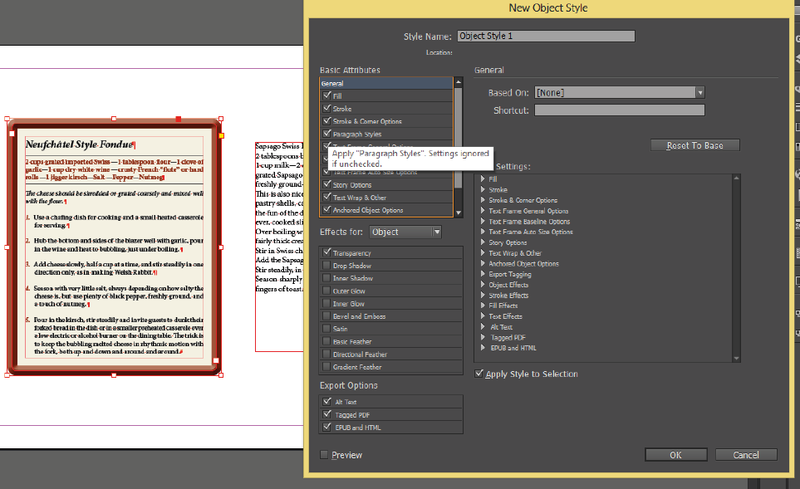 Object Styles pick up all the attributes applied to Adobe InDesign frames including all the effects. They can also be linked with paragraph styles. 1. 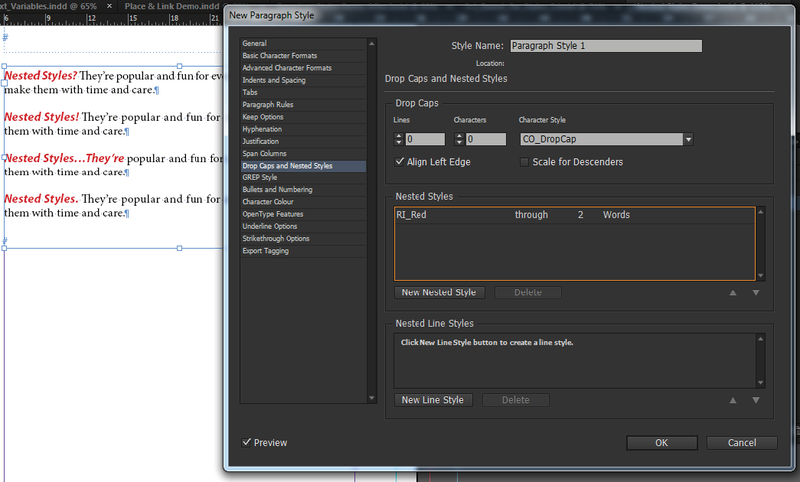 Make sure all paragraphs are made using the ‘Next Style’ feature. 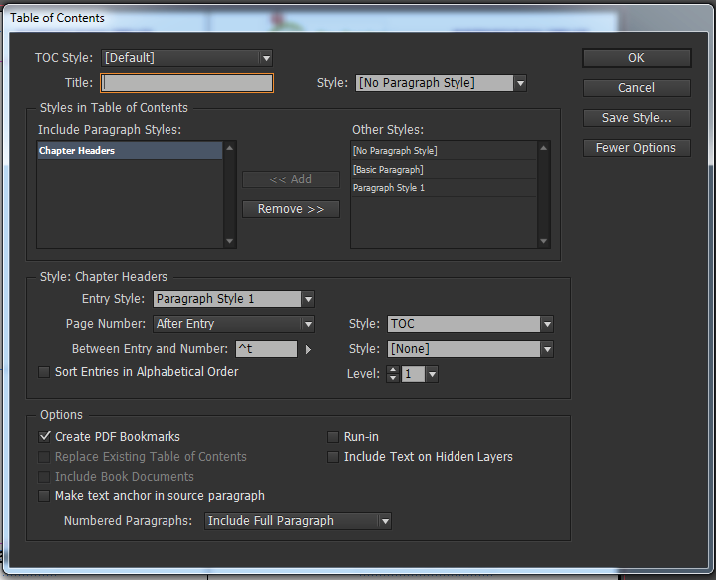 You can create an automatic Table of Contents in Adobe InDesign that links to character styles in your document. When an Adobe InDesign interactive PDF is generated the Table of Contents automatically turns in to a hyperlink to the specific page. 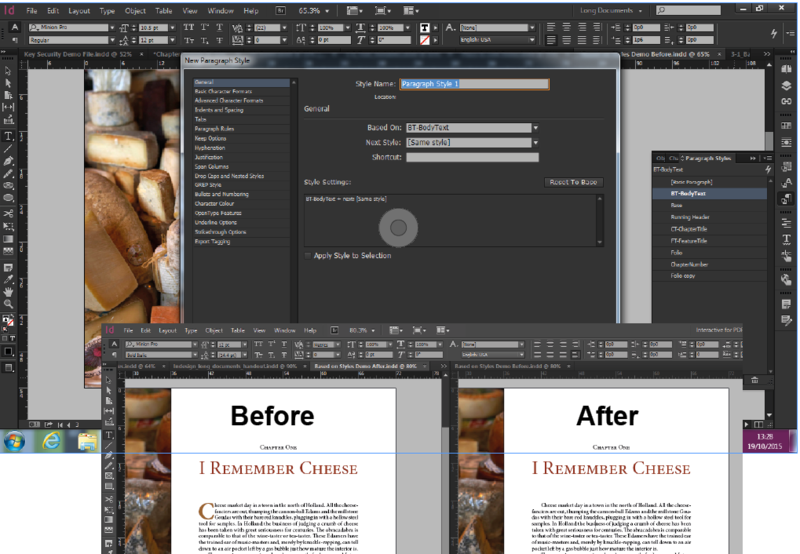 Book files can control numerous Adobe InDesign files splitting them in to chapters and enabling you to keep consistent styles between them and run page numbering through them all. If you’d like to learn more about Adobe Photoshop, Adobe InDesign or Adobe Illustrator, why not check out our Upcoming Adobe Training Courses? Even if you can’t make it to us in-person, you can take advantage of our Online Adobe Training Courses, currently on offer for less than half price, and all of which including lifetime access to all of our in-depth video tutorials. Please browse our site – we know we’ve got the right package for you – and use our Contact Page to reach out.